February 6, 2017 January 29, 2017 / Elizabeth T.
One of the best ways to stay warm in the middle of winter is with a cozy cardigan. While I’ve always veered more towards luxe styles with a hint of bohemian chic, I’ve lately been attracted to graphic cardigans because they’re just so quirky and fun! Plus, it’s a great way to add a little bit of humor to an otherwise casual ensemble, don’t you agree? 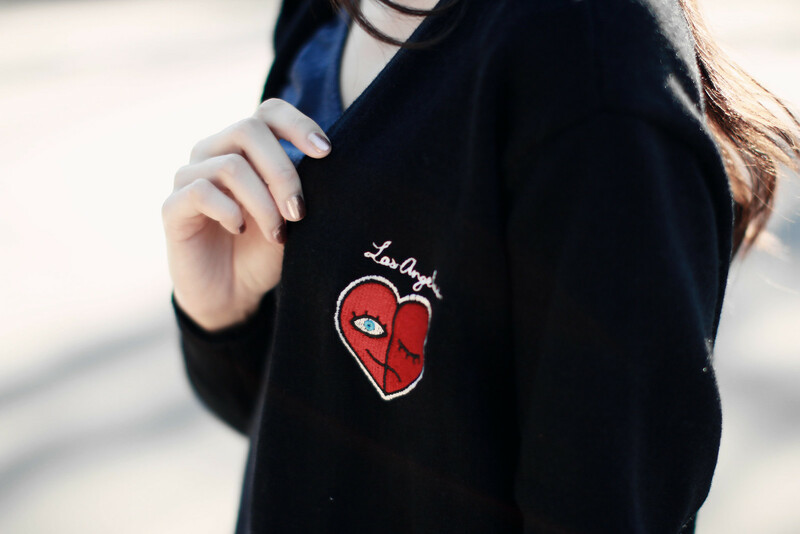 This long black cardigan may be plain on its own, but with the large “City of Angels” embroidery in the back, as well as the cute little heart above the left chest, this cozy piece of outerwear is anything but plain. Paired simply with jeans and a long-sleeve tee, this ensemble is perfect for running errands in because it’s both cozy and functional, yet chic and effortless. To add some more layers for warmth (and dimension), I threw on a long scarf as well, finishing off the look with my new favorite Adidas Superstar sneakers. 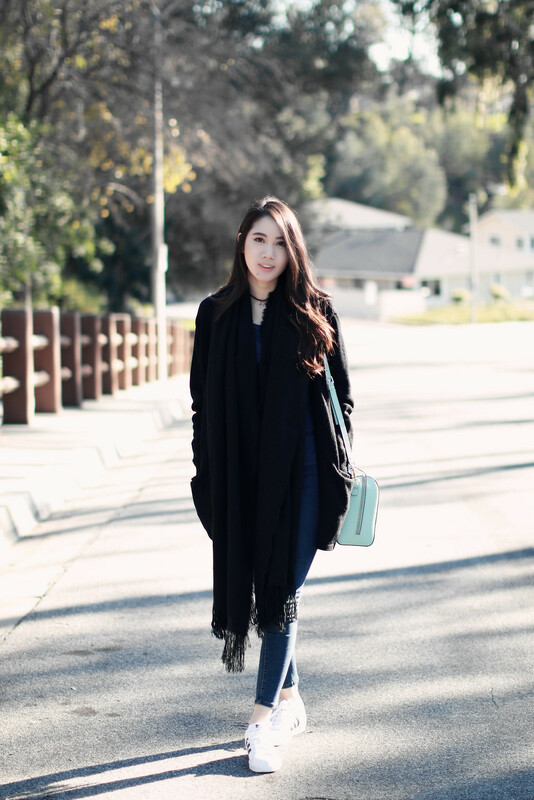 How do you dress to stay warm and chic in the middle of winter? And are graphic cardigans something you’ll wear? Let me know in the comments below! Always love hearing from you all! Love the back of that cardigan! So cool! I will surely go for graphhic cardigans not on daily basis but for a change. They look fab and so chic. 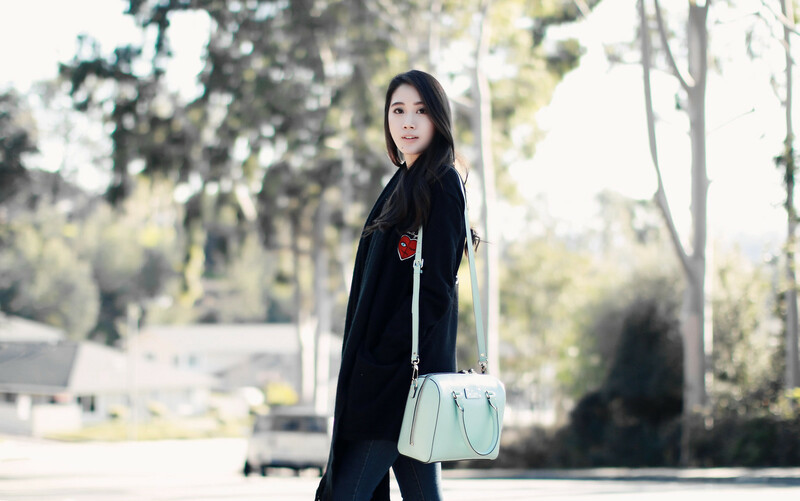 Love this super chic cardigan! 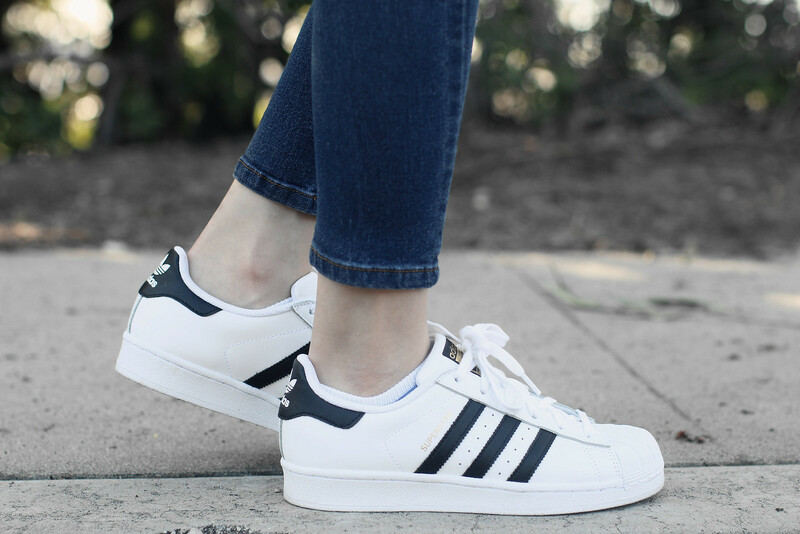 Perfect for SoCal girls! Thank you so much love ❤ 🙂 Hahaha yes perfect for us SoCal girls! Love the outfit! The bag is gorgeous! Love that cardigan! I really love the embroidered “city of angles” on the back. What a great find! Love your outfit. Can I just have that bag! and that cardigan, love! heyy we are superstar twinning in our posts teehee x) looking gorgeous as always elizabeth, believe it or not cardigan is my fave thing to put on even in hot humid weather of bkk! Heheheh yayyy! The shoes are so comfortable! 🙂 Hahaha and yes, cardigans are essential to outfits! ❤ Hope all if going well, Annie! The outfit looks great, especially, the “city of angels” embroidered at the back.